There has been a long-standing demand among Zionists, Jews dedicated to a homeland for the Jews scattered throughout the world. After World War I, the British government sent Lord Balfour in 1917 to grant the Zionists a part of Palestine as the holy land of the Jews. Lord Balfour gave the Balfour declaration to the Jewish banker Lord Rothschild to pass it on to the Zionist leadership. However, this action had no ratification from the League of Nations. Britain had no right to give the land to the Zionists who themselves had no right to it. Interestingly, the Balfour declaration stated that there should be no violation of the religious or civil rights of the non-Jewish peoples. The Zionists violated that condition, as they violated virtually all agreements they were party to. In 1947, there was the UN Partition Plan dividing Palestine between Israel and Palestine. There were few decolonised countries who were members of the UN. India opposed the UN Partition Plan and did not accept the creation of Israel. This was followed by the ethnic cleansing of Palestine in 1948, where the “Nakba” or terrible disaster led to the expulsion of over 7,00,000 Palestinians from Palestine. They and their ancestors were never allowed to return to their homeland. Also in 1948, the Zionist gangs including the Irgun and Stern gangs attacked friendly Palestinian villages like Deir Yassin in which hundreds were killed. The Zionist gangs and their underground army, Haganah, bombed the King David Hotel in Palestine, killing the UN envoy Count Bernadotte. From 1948 to the attack on the Suez Canal in 1956, to the 1967 Palestine-Israel war, then the 1973 war, and finally the assault on Gaza by Israel some years ago, in which 2,200 Palestinians were killed including 550 children, the imperial wars have continued. More than $1 billion of damages including the destruction of Gaza resulted. These wars are punctuated by a serious of assaults on Palestinian civilians as the Zionist machine occupies more and more Palestinian land. Lately, an extreme right-wing Zionist Knesset (Parliament) member Yehuda Glick has warned the Palestinians that their actions could lead to the destruction of the holy Al-Aqsa mosque. This has led to a series of knife attacks by Palestinians incensed by the threat to the holy shrine. 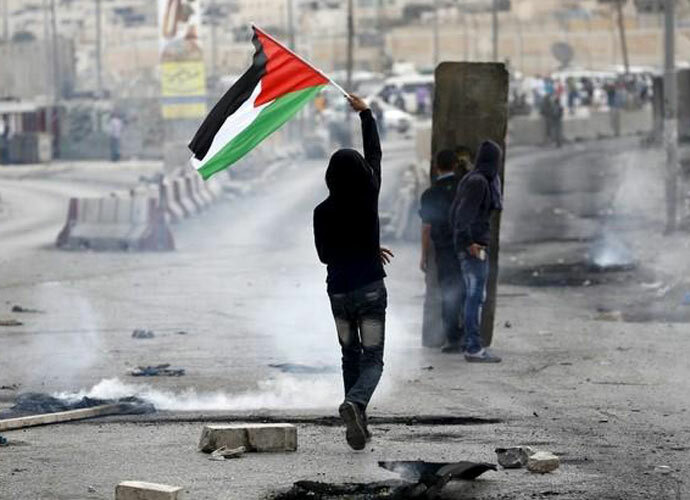 Many of the Palestinian revolting have been shot dead. The world has not stood still. As many as 78 resolutions have been passed by the UN on the Palestine-Israel question. They have been vetoed by the US and its allies. There are many more Jews in the US than in Israel. The occupation of Jerusalem continues. Palestinian civilians continue to die. There are few secrets the world over about this occupied land. So why is Prime Minister Narendra Modi going to this brutal and criminal country? Why is he becoming the first Indian PM to visit this racist and imperial country? There are many Jews like the linguist and scholar Noam Chomsky, the famous international jurist Richard Falk, and Israeli historian Ilan Pappe (who had to leave Israel in 2008 and is teaching in the US) – all of them reject the Zionist and racist creation of Israel. Therefore, why is our Prime Minister so keen to go to Israel? In the last important Israeli visit to India by former president and veteran leader Shimon Peres, senior BJP leader LK Advani reportedly asked Peres for suggestions on how to deal with Kashmir. Peres, a very wily leader, suggested that India should populate the Kashmir valley with non-Kashmiris. The increasing tempo of attacks and lynchings shows the Prime Minister’s inadequate response to rising communalism. What better exposure than Israel for the BJP to show the way to suppress minorities and all those who do not accept the diktats of the NDA? This is not foreign policy, but a continuation of the communal marginalisation of minorities. As an Indian citizen I am aghast. As a secular Jew, I am deeply ashamed. This entry was posted in Conspiracy, Ideaology, South Asia, Zionism and tagged anti islam, modi, zionism. Bookmark the permalink.